_H. P. LOVECRAFT (1890-1937) was the greatest author of horror fiction of the twentieth century and the founder of the so-called Cthulhu Mythos, which told through a series of fictional stories the history of the Old Ones, extraterrestrials who came to earth in the ancient past and were later worshiped as gods. 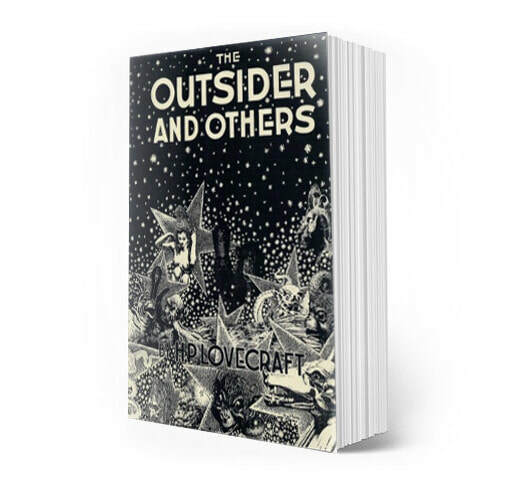 Although Lovecraft produced more than sixty stories, a handful stand out as key texts for understanding how the Cthulhu Mythos helped to influence the development of the ancient astronaut theory by transmitting nineteenth century pseudoscience--especially Theosophy and Atlantis theories--to a twentieth century science fiction audience primed to see them as something more than fiction and lies. Note: "The Call of Cthulhu" and At the Mountains of Madness were first published in 1928 and 1936 respectively; however, a copyright search has failed to locate a copyright renewal for either story, as required under the U.S. Cpyright Act of 1976, indicating that the stories have fallen into the public domain. "Dagon," published in 1919, is automatically in the public domain due to its age.